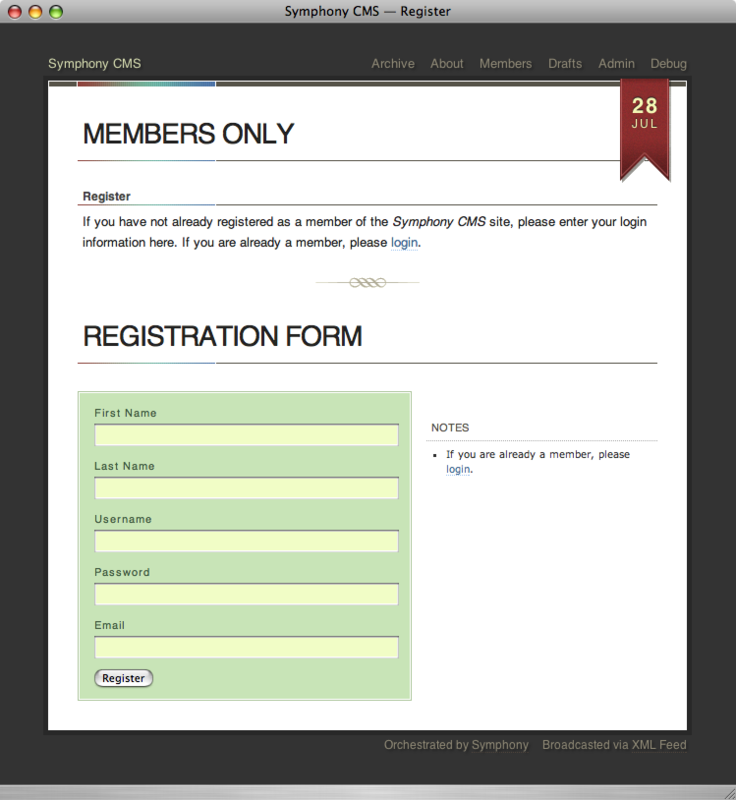 “Spectrum Members” – Ensembles – Download – Symphony. This ensemble is a work in progress. 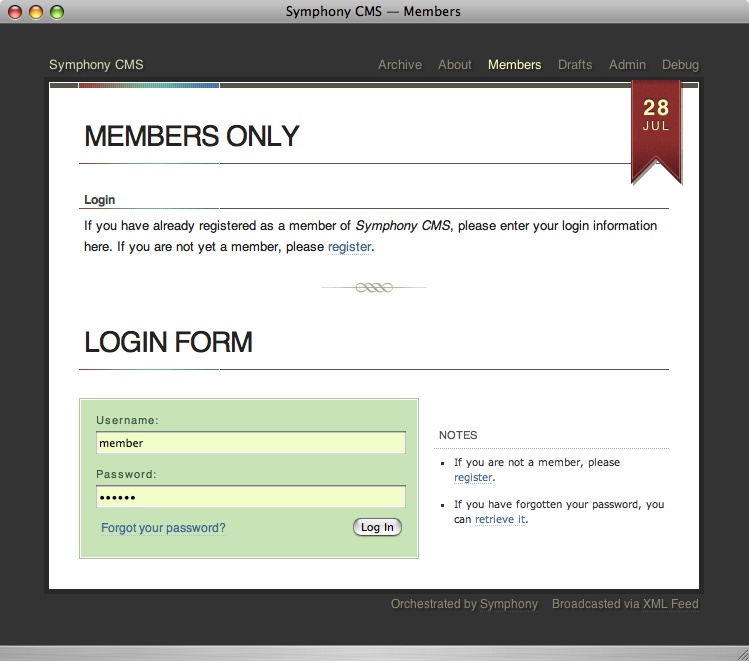 The registration and login forms are working. 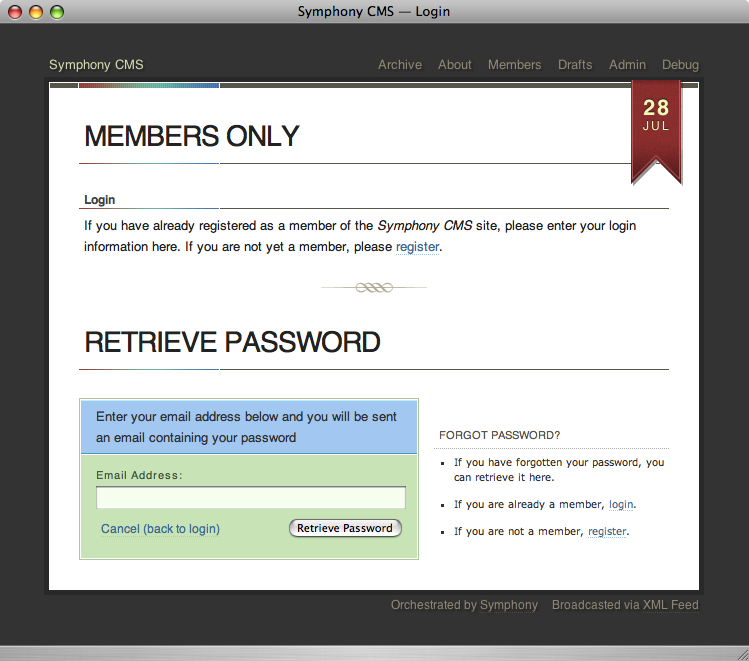 The retrieve password form is there, but untested at this point. If anyone wants to help out with this, please test this out. Thanks.